Born and raised in Venezuela of Italian immigrants, Susan completed a BA in Political Science and Business Administration before moving to the US . Although she built a career as a Business Analyst/Accountant, she also kept herself active as a freelance writer in the US; publishing articles, poetry, children's stories, and illustrations since 1996. She published her first book in 2009, and released her revised edition: Innocent War: Behind An Immigrant's Past - Book 1 in 2011. Her picture book: Tuma: The Tribe's Little Princess was published in early 2013 under her own label. When Susan started working for Reader Views, she discovered a passion for helping other authors get their stories and messages out there. Mentored by Irene (Founder of Reader Views), her new found passion developed into her I Have Something To Say brand (blog, online radio show and publishing company). Her websites are www.susanviolante.com and www.ihavesomethingtosaypress.com. She founded the Reader Views managed I Have Something To Say Manuscript Contest in 2012, which announced its first winner in 2013. Currently, Susan has partnered up with Reader Views to keep Irene's vision alive. She resides in Austin, TX with her husband (Michel), her two daughters( Nicollette and Arianna), and her two dogs (Peggy and Scotty). Susan enjoys cooking, reading, knitting, painting, writing, and any outdoor activity. Her favorite things are scouting for people to interview in her online radio show with her husband and writing about them. Sheri grew up in Saratoga Springs, New York, and moved to Texas when she was 15. Reading and writing have been a large part of her life since childhood, writing her first book as an elementary school project. She always had a book in her hand and a pile of books waiting to be read. Not much has changed. Sheri worked in the corporate world for over thirty years, honing her business and professional writing skills until 2012, when her passion for stories called her home to Reader Views. For the next couple of years she read and reviewed books for Reader Views, becoming the editor and social media manager in 2014, and managing editor and partner in 2018. Sheri lives in Austin, Texas with her husband Don and her two cats, Felix and Fred. When she’s not reading she enjoys spending time outdoors, exercising, playing golf, and gardening. She is currently working on her first picture book story and doing research for a novel set in the 1930s in Lake Placid, New York. Skyler Boudreau is a resident of New Hampshire currently pursuing a career in freelance writing. One day she hopes to become an editor with a publishing company and a best-selling author. Her flash fiction piece ‘Citrus, Snakes, and Guns’ was published in Vine Leave Literary Journal #15. When she is not reading, writing or blogging at Sky View Book Reviews, she can usually be found playing a plethora of musical instruments. I have an extensive background in computer programming, beginning with a bachelor's degree from Michigan Technological University back in 1986. Since then, I've written dozens of technical articles for journals such as C++ Users Journal and Windows Developer. I'm the author of two books on computer programming and editor of several books on psychology topics. My wife's background in trauma counseling got me more interested in that field of work. I've become more involved with it each year, culminating in the founding of Loving Healing Press (LHP) in 2003. LHP is dedicated to producing books which redefine what is possible for healing mind and spirit. Specifically, this includes psychology, self-help, personal growth, trauma recovery, and living with disabilities. I am currently a elementary school teacher and mother to two young boys. I grew up in the mid-west and love to travel. Since I can't travel everywhere I want, I use looks to explore the world. I have loved to read ever since I first picked up a book. In my down time, you will always find a book in my hand. When I am not reading books to my boys, I especially love to read historical fiction and mysteries. Marjorine Castillo is a developmental psychology doctoral student and adjunct professor of Psychology in New York. She also has some experience with coding and website development. She likes to read about different cultures, how psychology and history converge, and how politics influence psychological development. Hobbies include cooking, baking, and arts and crafts. Her plan is to become a Psychology professor and researcher after completing her PhD. I am originally from Springfield, Ohio and currently residing in Myrtle Beach, South Carolina. I am currently employed as a police officer and a forensic psychology major. I am an avid reader and use books as my escape from my hectic job. I most enjoy reading psychological thrillers, true crime and dystopian literature. Robert was a former New Orleans Police Officer in 1979, when at the young age of 22 committed a crime on the job, was arrested, skipped bail, and became known as one of America's longest fugitives without apprehension; for a period of 22 years. He was hunted by the FBI and U.S. Marshal's Service. He lived a nomadic life by surviving and consuming wild game in remote forests and woods, with short visits to inner cities. After 22 years on the run, in 2001 he "voluntarily surrendered ", then almost 50 years of age, after what he calls a revelation from God. He served no time, as the Judge surmised that he had essentially incarcerated himself. After his surrender, and for over the last 15 years, he now travels the country speaking to potential police recruits, schools, churches, and youths about the avoidance of crime and corruption; with an emphasis on repentance. His first book, Running Scared, is his bio. His second book, Legal Minds, is co-authored with Dr. Roxanne Davidson, a Professor of Behavior Sciences. This book details how to detect a bad cop, how to report such cops, how females can avoid police abuses, and the mentality of people pertaining to crime and corruption. Please note; the author is not anti cop, but anti bad cop! Profits from his books are donated to St. Jude's Children Hospital and other children and women abuse organizations as a small token of his regrets. I have always loved to read ever since I was a little girl! I would stay up every night going through my books. Even though I couldn't wait to finish each book, I was always sad to see each story come to an end. My love affair with books continues to this day. I am Ben, I spent 4 years in the US Army and now work in the fitness industry in Austin Texas. I am currently pursuing a degree in advertising and in my free time I enjoy reading. Carol Hoyer is a retired psychologist and college professor. She is an avid reader and book reviewer. She lives in Calabash, NC with her husband Pete, who is the author of Characters on the Green. Adrienne is a professional with a passion for good books. She works with organizations that empower women out of poverty, all while attempting to raise her two boys to be good men. During her free time, Adrienne drinks enough tea to keep the industry in business while reading the next good story someone recommended for her enjoyment. I was born and raised in Venezuela where I obtained a degree in pre-school Education, and worked as a freelance English translator. I retired after a couple of years from the Education field and started my 20 year career in the Airline industry which brought me to the US. Few years ago I retired from the Airline Industry and went back to my translator roots, and now work as a Spanish translator in Austin. I enjoy reading, crafting, and spending time with my family. I was born in Long Beach, California but raised on the east coast in New Jersey. I now reside in the Imperial Valley. I have a Master of Science degree in Vocational Rehabilitation Counseling. I teach disabled students at my local community college. I run a computer lab that has assistive software to help my students with their special needs. I love what I do! It is what keeps me living down in a place that gets over 120 degrees in the summertime. In my free time, I travel. I am single and do not have any family where I live. I like to travel to see my family, or I like to travel to see new places. My number one hobby, of course, is reading! I love to read. My favorite genres are fiction books with a touch of the paranormal. I love fantasy books. I read self-help and spiritual types of books. Really, I will read anything. If I am stuck in your car, you can be guaranteed that I will be reading your owner's manual! I also listen to audio books. I like to walk a lot, so I have my audio books going. My other passion is martial arts. I have my black belt in Shorin Ryu karate. I have been fortunate enough to go to Okinawa to train under the grandmaster of my style. Just in case the karate doesn't work, I also enjoy target practice with my .357 magnum. In my spare time when I am not kicking or shooting things, I also like to lift weights. I walk a lot, I haven't gotten the running thing down yet, but am working on it. I don't have any pets. I am away from home too much to give them the care that they would need. However, I do love animals. I like to review books because it gives me an opportunity to be introduced to new authors that I might learn about. When I receive a book to review, I know in my heart that I am holding something that is very precious to the author feel honored to be asked to give my opinion about a book that they have poured their heart into. I am grateful to have opportunity. After graduating from the University of Michigan, Kimberly has worked in fields as diverse as creative movement, brain research and interior design. Throughout, she has been an avid reader and writer. Combining her long-time love of yoga and writing, she currently teaches and provides weekly articles for her Yoga By Design studio in northern Arizona. I am a native southerner and graduate of the University of Alabama. I was a business owner until about five years ago when I went into a semi-retirement and began writing and pursuing artistic pursuits full time. During my time in business I lived near the communities of Grayton Beach, Seaside and Rosemary Beach in the Florida panhandle. After going through a nasty divorce I lived in Mobile, AL, New Orleans, LA and Sun Valley, Idaho until returning to the southeastern portion of Alabama where I was born, and still reside currently. I am the author of two books, STANDING TOO SOON and TO LIVE AGAIN. Keshia is currently a graduate student in English who picked up her first book when she was four years old and hasn’t put them down since. In her free time, she likes finding quality books that remind her what it’s like to be a happy kid wandering around library. Keshia likes almost all book genres but her guilty pleasures are young adult novels and compelling science fiction. David K. McDonnell is an Irish-American with a passion for both Irish and American history and is the author of two books - ClanDonnell: A Storied History of Ireland and Buy The Horse A Guinness (& Other Wee Tales of Ireland), and many other stories. He attended the University of Michigan and practiced law in Detroit for over thirty years. He represented many entrepreneurs along with a number of nonprofit organizations, helping them define their mission and design operations and implement programs to achieve that mission. He did this sometimes as an attorney and sometimes as a volunteer. His passion (next in importance to my family and my law practice) is history. “I've always been fascinated by how people used to live, what they used to do, and how that shaped the world that followed." 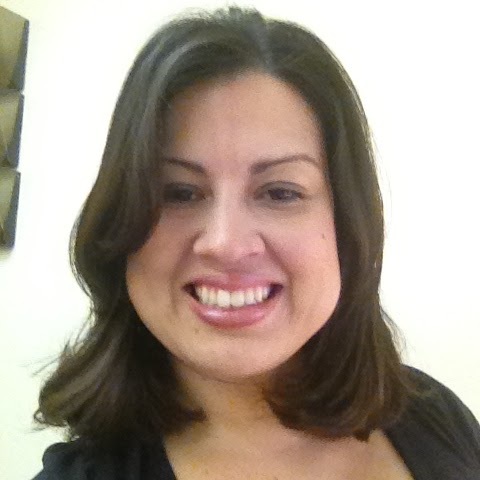 Araceli Noriega has 10 years of experience in clinical writing and conducting scientific literature reviews. Her keen analytical sense and high social intelligence make her an effective assessor of information. Prior to launching a writing career, Araceli managed 30-50 interns at Columbia University in the field of scientific research. She has always gravitated towards opportunities to improve the efficiency of large systems. She has a B.A. in Psychology from the University of California at Davis. I’m a 32 year old mother of two girls, a Psychiatric Registered Nurse, and a lover of all things that bring creativity, organization, and diversity into life! As a native Texan, I have been shaped by the bigger-than-life characters and surroundings of my home state. I have also lived on three continents and visited as many countries as my five decades has allowed. As an educator, my 3rd and 4th grade gifted and talented students teach me so much each day. My goal is to read as much as they do, which will be a challenge. But I’m up for it! I've been an avid reader since a young age. I love being surrounded by books and the worlds they create. I can immerse myself in travels, adventure, and mystery when my reality gets to be too much. I have high functioning anxiety, reading has always been medicine. It keeps me from focusing on my worries, and instead enthralls me in someone else's world. There I can shadow the main character and feel what they feel, see what they see. It makes me feel brave, strong, happy. When I finish a book, I'm always a little sad. I miss spending time with the character and being in their lives. I wonder what they do when the book has closed and the story has ended. I am a working mom, living in McKinney, Texas, and spend my downtime reading as much as I can. I was born and raised in Bari- Italy, and moved to Venezuela at 14 where I finished a BA in Computer Science. I came to the US in 1982 and completed a MIS Masters Degree. I currently work supporting Supply Chain IT Operations for major retail corporations. I am also a bookworm and sports addict and dedicate my free time watching sports, reviewing books, and helping Susan (my wife) with computer issues when needed. Hello, I'm Susan's and Michel 25 years old daughter. I have a BA in Political Science and am currently in Grad School pursuing a Masters Degree in Social Services. I love the outdoors, thrilling sports, travel, animals, and most of all books! I also enjoy writing, so reviewing for Reader Views came out naturally for me. I hope you enjoy my reviews, and can't wait for the next book! Christine has been with Reader Views since 2006 in a variety of roles. She started out doing book reviews, and then worked as an editor for a while. She has most recently been blogging articles on all of the websites affiliated with Reader Views as well as maintaining the homepages of several of the websites. 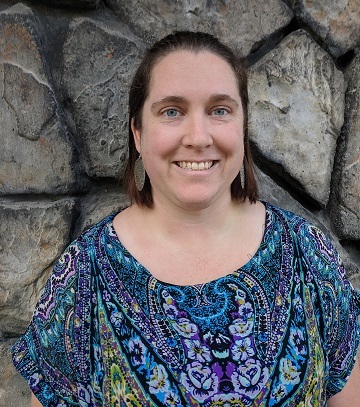 Christine has a diverse background, starting out as a health and wellness professional after receiving her BS and MS in Exercise Science. She was offered an adjunct teaching position at a local college, and realized her true passion was teaching. It took her a few more years to get there, but she finally became a certified teacher and began her journey as an educator. Her certifications are: Principal, Special Education, PE, Generalist k-4, Social Studies Composite, and ESL. Christine became a teacher, school administrator and private school owner. She loved to teach writing and literature to her students, and help them put their thoughts and ideas on paper. “Writing is one of the most difficult skills to teach, and it is wonderful to be joining an industry where individuals enjoy the process of writing, even when it can be maddening!” Christine has been married to a proud Canadian for 10 years. She enjoys playing tennis, hiking, reading, jigsaw puzzles, movies, and spoiling her 2-year old nephew. Hello! My name is Megan Weiss and my life basically revolves around books - whether I'm reading them, studying from them, or attempting to write them myself. I am currently a graduate student of Southern New Hampshire University enrolled in a Public History MA program. Book reviewing is perfect for me because I get to do what I love and help other writers and readers at the same time. I am a thirty-eight year old mother of two boys. I live and work in a small town in South Arkansas. Among my first memories are those of my books. I read, organized,, alphabetized, and categorized them. When my friends and I played school, I was in charge of the library. There is nothing better, in my opinion, than a quiet afternoon spent lost in a good book. While most people scroll through social media in line at the bank, I try to squeeze in another chapter. I cannot imagine my life without reading!